Before I begin my review on the Unity Beauty Essential Range I want to start with the signature ingredient of the collection. It was something I had never heard of being used in beauty products before and now I'm really glad I do because it has so many wonderful properties and 100% something I'm going to add into my skincare routine. 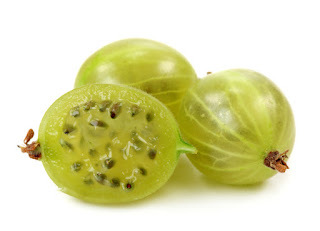 The special ingredient is the Indian Gooseberry, which is known as the 'Pregnancy Superfruit' and the most beneficial natural ingredients for pregnancy and beauty. Leaves a brighter complexion and delays the effects of premature ageing, such as wrinkles, fine lines and dark spots. Increases the production of collagen leaving you with youthful, soft and plump skin. It tightens and tones the skin, minimising pores. Natural Blood Purifier, helps to fight microorganisms and therefore skin infections, acne and pimples at bay. Great skin cleanser and exfoliator. Combats dry skin and can speed up damaged tissue repair. The creator of this Luxury Range, Parvathi Nair discovered there was a lack of choice for high quality pregnancy products, and I couldn't agree more, adding this special ingredient has added to making this range unique and stand out. The packaging continues to show off how luxurious this product is, a simple but elegant design that really looks appealing to the eye. The three products I'm writing about today are the Daily Body Hydrator, Intensive Body Nourisher and the hero of this innovative range, Complete Duo Stretch Mark Cream + Oil. 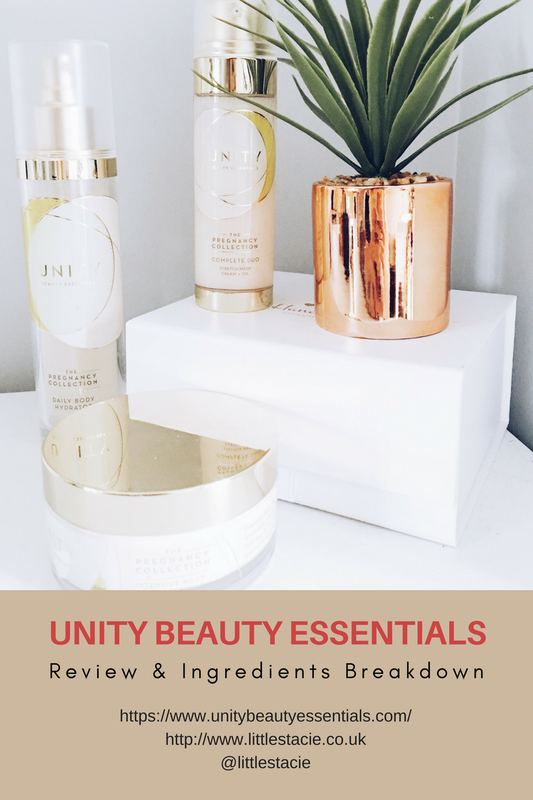 For each product I will break down the ingredients used, I find this helpful when I'm searching for products as it helps me to find the most beneficial products for my skin type. Daily Body Hydrator was created to do exactly that, hydrate. It energises and awakens tired skin, leaving your skin feeling alive and refreshed. As you go through the pregnancy trimesters and your skin is stretching, you may find your skin becomes itchy and dry, for me I suffered a lot and at the time couldn't really find anything that helped to soothe the irritation, I honestly wish I knew about this product at that time, and again why I believe there is a huge market for this range as there aren't enough products specifically for pregnant women. Avocado Oil is incredible at moisturising, it's used more commonly now as it penetrates deep into the skin unlike most other oils, leaving the skin hydrated and soft. High Anti-Ageing properties, leaving skin more youthful and reduces early signs of fine lines and wrinkles. Sweet Almond Oil is anti-inflammatory, reduced the effects of inflamed skin and irritation. Anti-Oxidant, decreasing the effects of radical skin damage. Emollient, leaving the skin deeply moisturised whilst creating a protective layer on the skin for extra protection, a great property for those who suffer with dry skin. Indian Gooseberry Extract - Properties listed above. The huge benefit of this product is it's a cream and oil in one providing double action for your stretch marks, scars and itchy/dry skin. I have been using this everyday for just over a month now and I'm already seeing great results. Since having my son I feel like my confidence has been knocked due to the stretch marks I was left with underneath and on my bum as well as my thighs, now I know a lot of you will be thinking the same thing 'It's normal to have stretch marks/cellulite' however, I have been lucky enough growing up that I never had really obvious stretch marks so now, to me, they are really obvious and if there is a natural way I can help to get rid of or fade them then I will. I'm not ashamed, they are there because of my angel, however I would like them to be less obvious as I'm sure a lot of women would! Coconut Oil is naturally Anti-Fungal and Anti-Bacterial helping to increase the fight against acne and any other skin infection. It is also an incredible moisturiser, providing a huge impact on dry and itchy skin. Coconut is an emollient so it will also leave a protective barrier on the skin, leaving it soft and extra moisturised. Indian Gooseberry Extract - see above. Rosehip Oil helps to reduce dark spots, scars and fine lines, it is also an anti-oxidant and packed full of vitamins. The oil itself is incredible hydrating, again decreasing itchiness and dryness. Shea Butter Anti-Inflammatory and rich in natural vitamins, this butter will add to your hydration needs, leaving skin feeling soft and nourished. Intensive Body Nourisher is a product everyone needs to add to their evening routine because I am honestly obsessed! The consistency is thick so straight away you know it is going to be deeply moisturising and hydrating your skin whilst you sleep. We tend to forget about how our skin is overnight, it is left dehydrated just like our bodies and in warmer seasons this can have a huge effect, leaving our skin dry and thirsty - even more so when you are carrying a baba! Leaving this on your skin overnight will really help to keep your skin feeling nourished and full of life. The cream itself has such a soft relaxing smell too, so a great product to use before bed, to me it's a best friend in a tub! Shea Butter Anti-Inflammatory and rich in natural vitamins, this butter will boost your skins hydration needs. Mango Seed Butter is amazing, not only does it tighten the skin and keep it firm, but moisturises at the same time so your skin will not dry out. I think this butter is a great addiction as it helps to reduce the chances of stretch marks after birth! I hope this really helps anyone who is in need of a great product during and post-pregnancy, I couldn't recommend anything else that hits this standard being 100% and I would love to see it have a huge impact on others because the results are incredible.